If you get hurt on the job in California, you do not have the right to sue your employer for negligence. In exchange for the employee losing the right to sue their employer for negligence in superior court, California workers compensation law applies to all workers regardless of fault (with few exceptions). It mandates that employers provide insurance coverage that extends a defined set of medical benefits and wage replacement compensation to employees who sustain injury arising out of and in the course of their employment. Unfortunately, there is a widespread tendency for California workers comp insurance companies to administer their policies in ways that deny many injured workers their rights and therefore significant amounts of benefits. For example, the insurance company might select doctors who will, in exchange for business, favor the employer by downplaying the injury itself. Or, the insurance company might deny money to which the employee is entitled as wage replacement without proper legal justification. To combat the injustice, many injury victims seek the counsel of a legal professional to aid in their recovery of money compensation and medical attention. At the end of the case, there should also be an outline of medical benefits the insurance company must provide into the future. 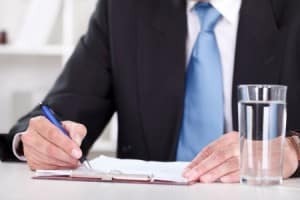 Counsel the client on the best course of action, whether that be advising on how to maintain a good relationship with the employer throughout the claims process or advising on what doctors have a better bedside manner or are more generous with providing treatment. Act as a barrier between the applicant and the adjuster so that you do not have to deal with the adjuster anymore. The difference between a good California workers compensation lawyer and a poor one mostly depends on the attorney’s caseload (how many cases they are handling at one time) and their ability to apply the law to an individual's circumstances over the life of the claim. Many lawyers out there that advertise for California workers compensation law business look very professional and seem legitimate, but in reality are either overloaded with cases to make the maximum amount of money possible, or lack the knowledge and ability to appropriately handle your case. When you hire these types of attorneys, you do not usually meet an actual lawyer from their office for several months into the case. If you do not at least speak with a lawyer during the initial consultation, stay far far away from that law office. 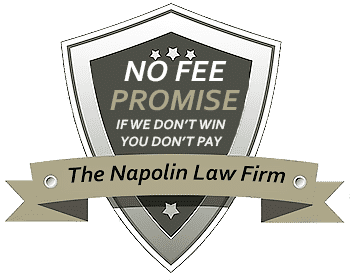 At Napolin Law Firm, all cases are overseen by Mr. Napolin. He never charges for consultations, and he is only paid if he settles or wins the legal case. He has successfully helped thousands of injured workers navigate the complex California workers compensation law. He also looks forward to learning about your unique situation and developing a plan to get you the justice and benefits that you deserve. 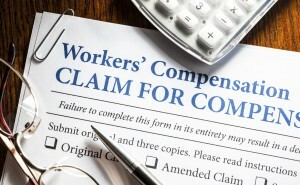 Workers' Compensation Lawyer - Work Injury? Workers Comp. Claim? You May Be Be Entitled To A Cash Settlement. Get A Free Case Review Today!